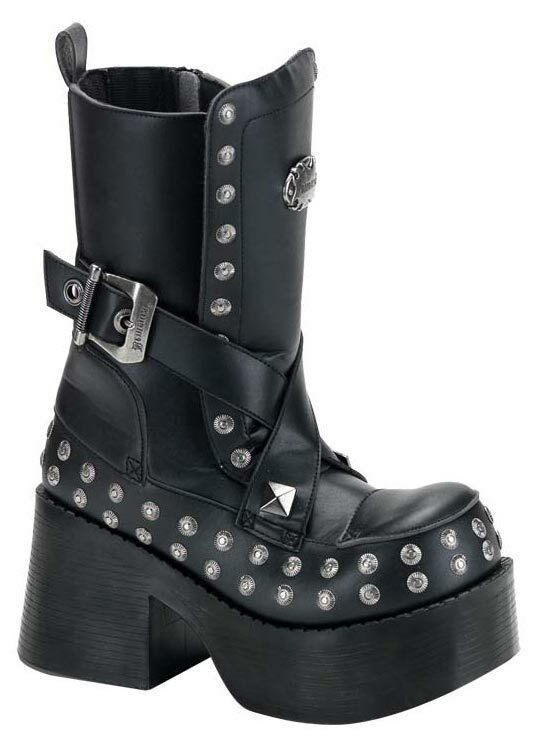 The Platoon-205 black veggie leather look boots have a 3 1/2 inch heel platform with crisscross adjustable strap buckles and studded details all around. 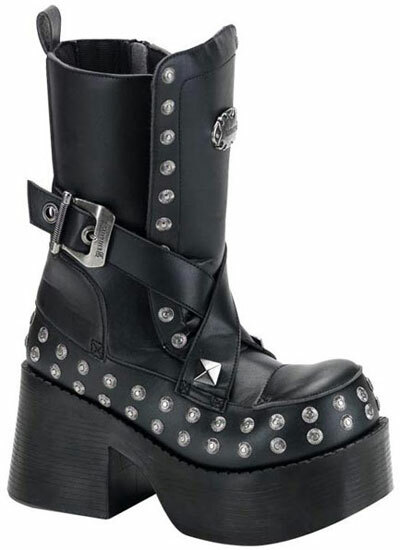 These boots have a full inner zipper. By Demonia.